A BWX Technologies (NYSE: BWXT)-PAE joint venture will continue to help NASA manage two facilities in Louisiana and Mississippi after the space agency exercised an option under a potential $1.3B contract. 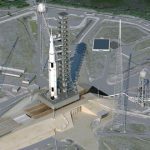 Syncom Space Services will extend services at the Stennis Space Center and Michoud Assembly Facility through Sept. 30, 2020, BWXT said Thursday. NASA awarded in 2015 the Synergy-Achieving Consolidated Operations and Maintenance contract, which has additional award term options that would extend the period of performance until Feb. 28, 2025. 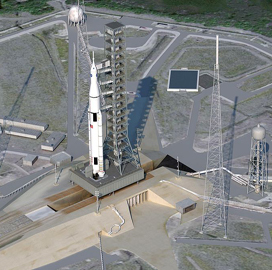 S3 has helped the agency consolidate manufacturing services to Michoud and transport Space Launch System test components to the Marshall Space Flight Center. The venture also supported the first demonstration of a single launch vehicle that was built through a Defense Advanced Research Projects Agency effort.